Face it; plain-Jane drywall is just boring. Luckily, there are many types of drywall textures. You can either hire a pro (I suggest finding one on Angies List) or do the job yourself. There are basically two categories of drywall textures; the main difference is the method of application. The first is often called the hand-applied. This is usually the best for the DIY enthusiast since little specialized equipment is needed. The second is the spray category. It requires a method of spray application such as a compressor and hopper and is favored by contractors since it is so well suited for production work. Although more expensive texture materials are available, frugal homeowners do quite well with thinned-out drywall compound, or mud as it is often called. In the old days contractors liked to add asbestos for popcorn ceilings but this is not an option today. The paint roller method. The only tools this method requires is a paint roller with extension pole and a paint pan. The dimensional (ridges and troughs) are determined by the knap of the roller and the speed of application. Going slow is recommended since that will minimize splatters. The knockdown texture method. This method involves applying the compound with a knockdown texture tool or a crows foot brush. After applying the “stomp” a wide drywall finishing knife is dragged across the mud to smooth it out. The amount of pressure applied on the knife will determine the depth of the texture. Here is a guide for making your own knockdown texture tool as I did to match a customers existing texture. 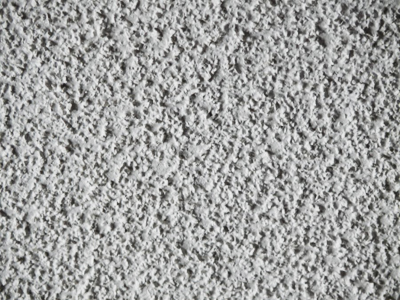 The Santa Fe drywall texture. This texture is designed to be reminiscent of the adobe homes of the southwest United States. It is similar to a knockdown texture but is usually finished using a curved drywall knife that is at least 18 inches wide. Popcorn texture. This texture used to be very popular on ceilings but is widely considered out of fashion today. Orange peel. This popular texture resembles the skin of an orange. Like popcorn, it is not that popular in new construction anymore and can be difficult to match during drywall repairs. For application, the texture hose is accompanied by a high pressure air line. The air and mud meet and as the compound is pumped from the working end of the nozzle, compressed air splatters it into numerous small dropplets of texture. Splatter knockdown. As the name infers, this is basically a combination of an orange peel and a knockdown texture and is very popular currently. These are just some some of the common types of drywall texture choices available when its time for a remodel or new construction. Knowing your options is key whether you decide to hire a contractor to do the job yourself. Even considering all these styles there are various variables to consider, particularly the personal touch of the applicator.